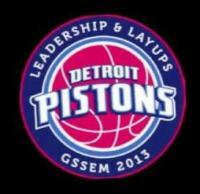 Description: Girl Scouts are invited to participate in an exclusive clinic on the Pistons court before the game hosted by PlayAllBasketball, a top travel basketball club, and learn valuable lessons on leadership, maintaining healthy life styles, and teamwork. The girls will be participating in basketball drills with PlayAllBasketball to enhance their game skills and give them the experience of playing on the Detroit Pistons court. Last year there were over 200 Girl Scouts that participated in the event, so hurry and reserve your tickets now while spots are still available! Girl Scouts can enjoy music and dancing with Pistons DJ, meeting the Cheerleaders, dancers, and other entertainment teams, free face painting,game, food and drink specials and more during the Pistons Power Hour in the North Pavilion following the clinic.